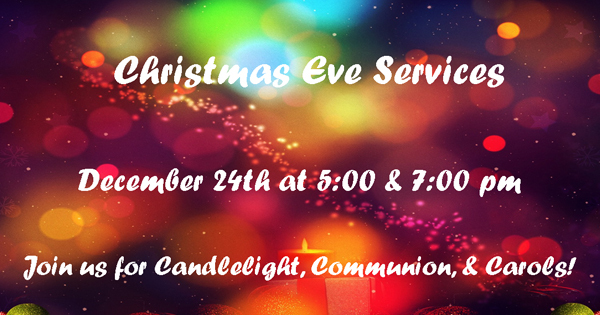 We will be holding two Christmas Eve Services on December 24, 2018, at 5:00 p.m. and 7:00 p.m. Please join us for candlelight, communion, and carols! All are welcome!